On March 11, a group of prominent Argentine human-rights activists presented a poignant petition to the US Embassy in Buenos Aires. They asked for the cooperation of the US government to advance the “process of memory, truth and justice relating to the crimes against humanity committed in our country” during the military dictatorship that left over 20,000 desaparecidos—citizens detained by state security agents and murdered, but never found. They requested that President Obama use his authority to declassify still-secret US government archives “that would reveal the fate and truth of our disappeared,” as well as the babies born to secretly detained—and subsequently executed—pregnant women, who were then given to military officers for adoption. On March 14, US National Security Adviser Susan Rice publicly stated that Obama will “announce a comprehensive effort to declassify additional documents, including for the first time military and intelligence records,” when he travels to Argentina on March 23. The secretary of state personally transmitted that message. According to a secret memorandum of conversation (obtained under the FOIA by our organization, the National Security Archive) some ten weeks after the coup, Kissinger met with Argentina’s new foreign minister, Adm. César Guzzetti, in Santiago, Chile. When Guzzetti alerted Kissinger that the military was moving aggressively against “the terrorists,” Kissinger responded, “If there are things that have to be done, you should do them quickly.” Even after his Assistant Secretary for Inter-American Affairs, Harry Shlaudeman, informed Kissinger that the military junta had decided to adopt “the Chilean method…to terrorize the opposition—even killing priests and nuns and others,” Kissinger reiterated this message to Guzzetti in yet another meeting in New York in October 1976. “Look, our basic attitude is that we would like you to succeed,” Kissinger told the junta’s foreign minister. “I have an old-fashioned view that friends ought to be supported. What is not understood in the United States is that you have a civil war. We read about human rights problems but not the context. The quicker you succeed the better.” The US ambassador to Buenos Aires, Robert Hill, subsequently reported that Guzzetti returned from this meeting believing that Kissinger “gave the green light” for the generals to pursue their repression. Over the next seven years, that repression cost the lives of thousands of citizens, and the torture of thousands more. Argentine security forces created a network of secret detention-interrogation-torture-execution camps, and then disappeared victims by dumping their bodies from helicopters into the ocean. Argentina also became a central country in Operation Condor—the clandestine, cross-border collaboration of Southern Cone military regimes, led by Augusto Pinochet’s Chile, to track down and eliminate militant and civilian critics around the world. The operational files, intelligence reports, and cable traffic of the CIA, the Defense Intelligence Agency, and the FBI contain detailed evidence on the state-sponsored terrorism that took place in Argentina. Yet 40 years after many of these documents were written, they remain classified—beyond the reach of human rights activists, victims’ families, and legal authorities seeking to hold military officials accountable for their crimes. During the last year of the Clinton administration, Secretary of State Madeleine Albright did authorize a special declassification of 4,700 revealing State Department documents; one of them, a confidential 1982 memorandum of conversation between Assistant Secretary of State Elliott Abrams and an Argentine diplomat, addressed the issue of the disappeared grandchildren and became a key piece of evidence in a trial that convicted high-ranking Argentine military officers of kidnapping. But even more revelatory records in the SCIFS—Sensitive Compartmentalized Information Facilities—of the CIA and US military remain secret to this day. In a gesture of declassified diplomacy to the Argentine human rights community and the victims of atrocities, President Obama will order those documents reviewed for release as he commemorates the fortieth anniversary of the coup on March 24 by visiting the Parque de Memoria in Buenos Aires. The multi-agency process of centralizing, evaluating, redacting, and declassifying hundreds of such records is likely to take until the end of his tenure in office. Moreover, if previous special declassifications involving the intelligence community are any indication, the “securocrats” in the CIA will resist the president’s directive and attempt to withhold valuable, if self-incriminating, records from release. Yet the fact that the president of the United States is ready to open the Pandora’s box of secrets on Argentina and assist the pursuit of truth and justice reflects his commitment to redress the past by making it accessible. 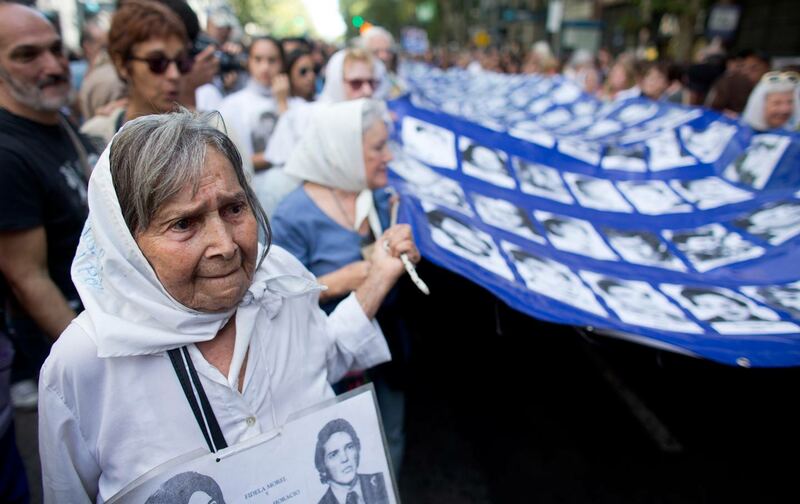 His decision to declassify will not only reveal history, it will make history—for the human rights movement in Argentina, and around the world. Carlos OsorioCarlos Osorio is a senior analyst for Latin America at the National Security Archive, a research organization specializing in the declassification of human rights documentation.